This is my first time back at this customer since early May. 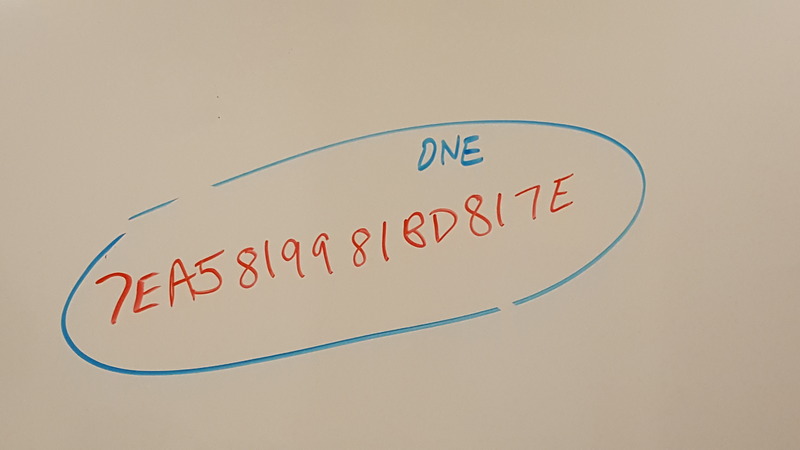 I’m pleased to report that the seemingly random string of hexadecimal code I left on a conference room marker board back on April 12 is still there today. The breaks in the blue surrounding the code make me think that people have written all around the code and right up to the boundary, but have tried with some care to not erase the blue or the code itself. Thanks, people!